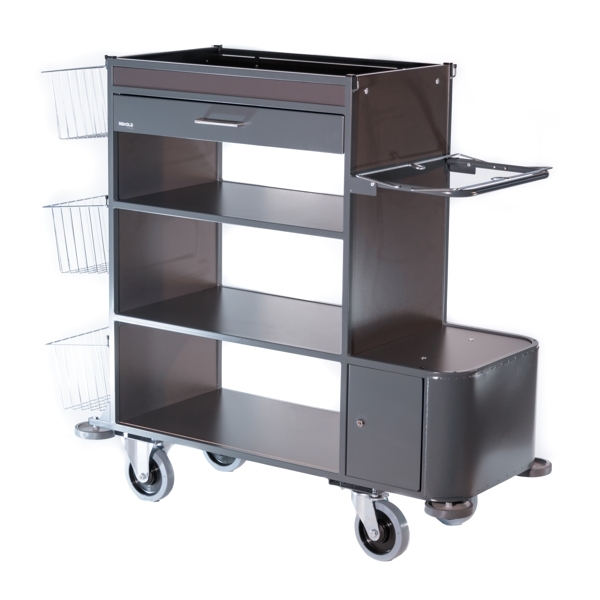 In order to make the total length of the trolley shorter we have put 3 metal baskets at one end. 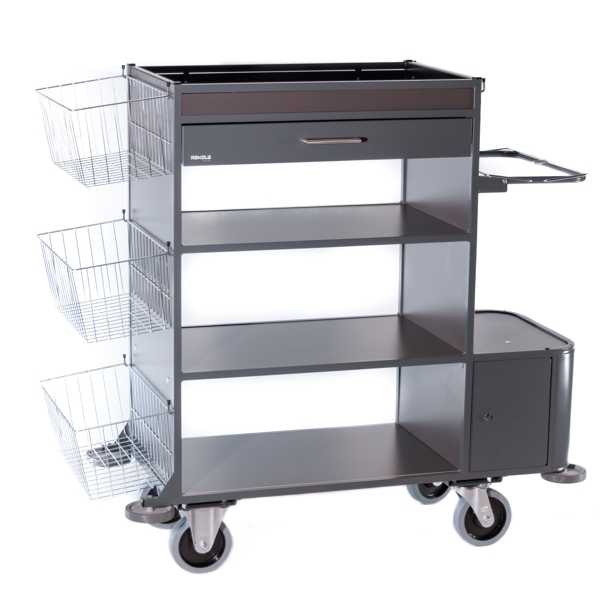 These baskets can be easily removed prior to storing the trolley in a service room. 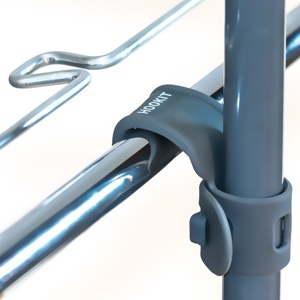 The metal baskets can be used to hold toilet paper, glasses and toiletries. The opposite end of the trolley has a trash bag holder with a lockable minibar box underneath it. On the left side of the trolley there are three metal baskets. 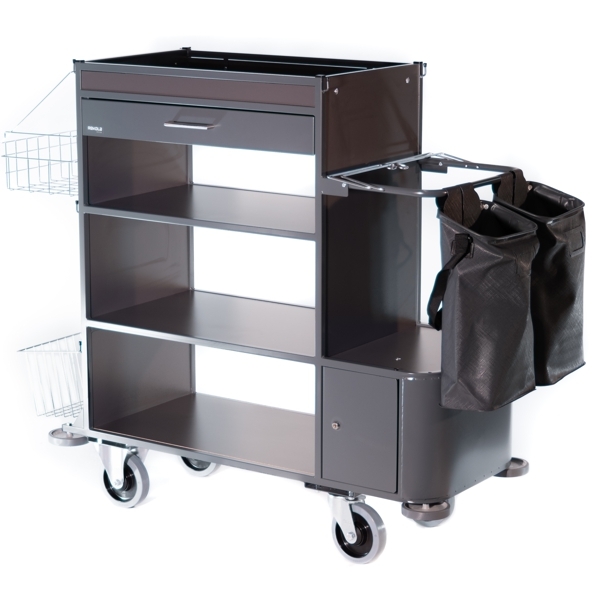 On the right side of the trolley there is a lockable box, sack holder for a plastic bag and also the possibility to add Rekola AddOn boxes for extra space to transport paper or any other needed material. As an extra option a drawer can be added. A perfect solution for material which is distributed into rooms. 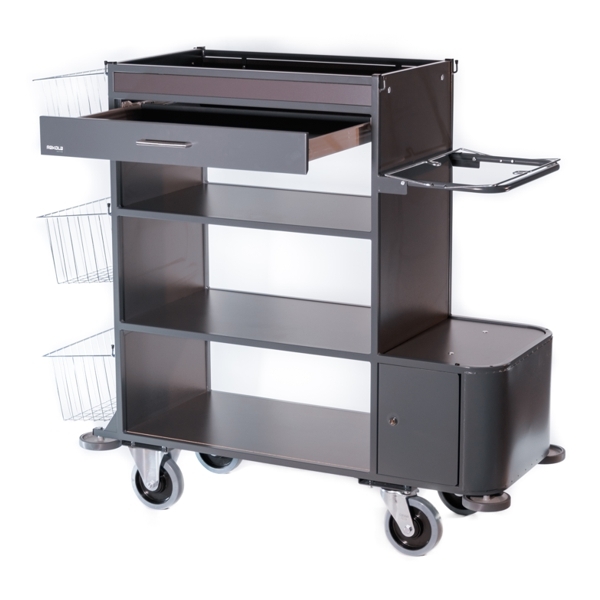 In the same way as our cleaning trolleys, the performance of the M4 trolley can be enhanced with our AddOn products. Regardless of how many utensils are needed for cleaning guest rooms we have products to accommodate the products that you do use. EVA bags for mops and dusters and a container for toilet brushes will improve your work and the appearance of the trolley in public guest areas.